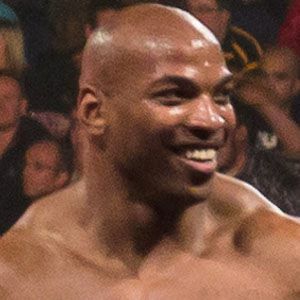 Former NFL linebacker who became a WWE fighter and the first competitor to wrestle with glasses on. He played FCS football at Western Carolina University, where he was the conference leader in sacks. He came to prominence for his resemblance to Eddie Murphy, and then cemented his status by beating the pro Zac Ryder. He was born Nick McNeil, in Leland, North Carolina. In dark matches in the WWE he got to wrestle other rising stars, like Primo.